Having a mobile app for your business is an essential strategy every company owner should implement within their marketing process in order to increase the chance of becoming successful. But how do you know if your mobile app is efficient? Does it manage to meet the demands of your marketing goals? According to a new study by the Economist Intelligence Unit, there is a strong relationship between earnings growth and the strategic use of data. In the process of adapting to a data-driven world, the study shows how 74% of executives expect the range and types of data they collect to expand in the next two years. 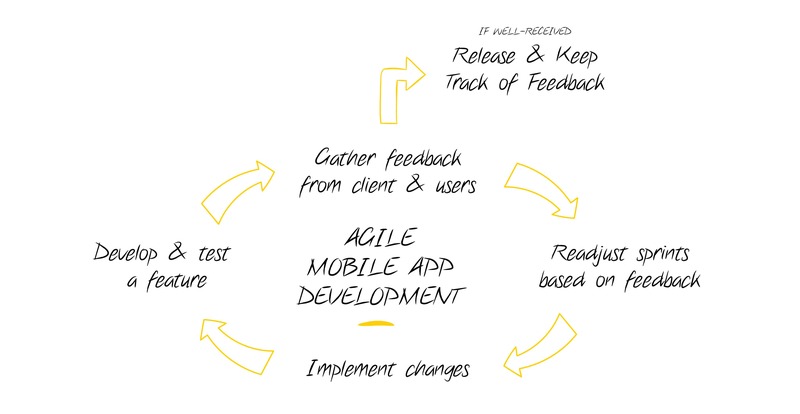 But what do you really want to know about your mobile app? You can certainly look at things such as the number of people that download your app, how much money you are making or even the opinion of other users regarding your app. However, this is just the tip of the iceberg. In order to have a full comprehension of how people are using your app you need more information. how are people using your app? when do they most need it? where are they most likely to use it? what type of audience is using the app? Why is Google Analytics so efficient? Google Analytics for mobile apps provides metrics to analyse your app performance. The most important advantage it has over other similar tools is that Google Analytics has been used as the first source of information and measurement by the majority of users starting with the end of June 2012. This is the date that marks the start of the first Google mobile app analytic tool. How can Google Analytics influence the overall performance of your app? Acquisitions – allows you to know about who your new users are, with the possibility of tracking their location or how much in-app revenue they generated, for Android app users. Mobile app audience – you can find out more about new and returning users, their country or language, the app version, etc. Mobile app behaviour – you can use event tracking, get reports on speed, crashes and exceptions. Mobile app conversion – you can set up goal, track the conversion of your objectives and see the goal flow. What are the advantages of web vs mobile analytics? The most important differences that set mobile analytics apart from web are represented by the possibility of capturing all offline actions with a more holistic understanding of in-app usage and behaviours. In other words, mobile analytics are able to offer detailed insights regarding mobile user behaviors, engagements and purchases across different devices and locations, whereas web analytics can’t track consumers’ behaviors in apps and can’t get offline use metrics. Apart from Google Analytics, there are a great deal of other app analytics tools that can help you get all the information you need in order to boost the performance of your mobile app and ultimately your entire business. Flurry Analytics – offers you the possibility of using the “classic” dashboard or creating up to 10 custom dashboards for each app. Mixpanel – offers event-based analytics tools such as account creation, sharing, upgrade, purchase and so on. Facebook Analytics for Apps – by using their own mobile analytics SDK, Facebook lets you track, events, funnels, cohorts, segments and integrations. If you want to learn more about the power of app analytics and need professional assistance in attaining app growth, do not hesitate to contact us here. We can provide you with optimised solutions to cater to your every professional need.